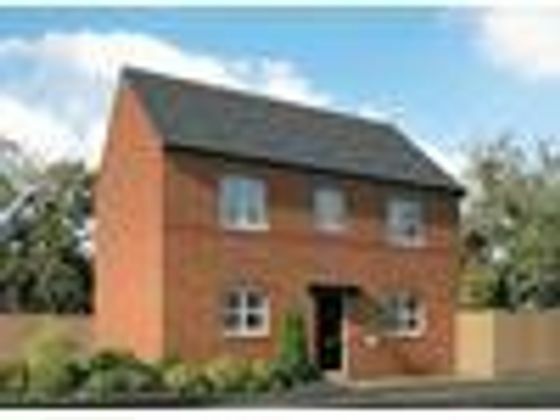 Available Plots Plot About the home The Gordon The Gordon is a 3-bedroom, detached family home, which benefits from a generous, dual aspect living room, and an en suite to the master bedroom. Ground Floor:Spacious living room with a pleasant dual aspect, an open-plan kitchen and dining area, and separate cloakroom. Also offering dual aspect, the kitchen benefits from Zanussi stainless steel oven, gas hob and chimney hood, and elegant French doors providing access to the rear garden. A convenient utility room with space for further appliances, is also accessible via the dining area. First Floor:Upstairs, a good-sized family bathroom, boasting contemporary Roca sanitaryware, serves the second and third bedrooms. The master suite is a generous size, and enjoys access to a private en suite, complete with high-quality sanitaryware by Roca. Help To Buy available or Part Exchange available on selected plots. Please speak to our sales advisor for more information. Opening Hours Monday and Friday 10.00 am - 5.00 pm Thursday 10.00 am - 7.00 pm Saturday and Sunday 11.00 am - 5.00 pm Closed Tuesday and Wednesday About the development Chadwick Park Chadwick Park is an exciting development in the town of Widnes, located within close proximity of the River Mersey, and well-placed to enjoy the attractions of Liverpool city centre. Built to the highest level of specification, these new homes in Cheshire benefit from modern fitted kitchens, including an integrated Zanussi oven, contemporary en suites to all properties, along with turf or landscaped front gardens. This collection of traditional, 2-storey family homes comprise 3 and 4-bedroom detached and semi-detached house-styles, sure to appeal to a wide audience of first-time buyers, families and professionals. Chadwick Park is situated within walking distance of the award-winning Victoria Park, opened in 1900 to celebrate the Diamond Jubilee of Queen Victoria. With a range of family-friendly attractions including an interactive water feature, a boating lake, glasshouses and several sports courts, this charming 30-acre park is a well-loved feature of the area. The iconic Spike Island is just three miles from the development and is another popular local attraction, with a prime position on the banks of the Mersey Estuary and overlooked by the Catalyst Science Discovery Centre. Families are well-catered for in the area, with a number of highly-regarded local schools. Children under eleven will benefit from several popular primary schools within one mile, including the notable Lunts Heath Primary School, Farnworth Church of England Primary School, Moorfield Primary School, Fairfield Primary School and St. Bede's Catholic Infant and Junior Schools. Older children are served by two notable institutions within a five minute drive, Wade Deacon High School and Saints Peter and Paul Catholic College, while those pursuing further study may consider the prestigious University of Liverpool, just a 20 minute drive from home. Transport connections in the area are excellent, with convenient commuter links and good public transport networks. The M62 is just two miles from the development, providing a route into Liverpool city centre in approxima 30 minutes and a direct route to Manchester in around 40 minutes. Widnes train station is just one mile from the development, and provides regular services to popular destinations such as Warrington, Liverpool and Manchester. Property advert Ref 4274397 - Is a property advert for marketing purposes only, the information has been supplied by the owner, estate agent or property portal and The House Shop makes no warranty as to the accuracy or completeness of the information. Furthermore we have no control over the adverts content. This property advertisement does not constitute property particulars. Please contact the advertiser to obtain any information regarding The Energy Performance Certificate regarding homes in England and Wales or Home Report for residential property in Scotland.